What's LoDo? I’m happy you asked! Lower Downtown or as we call it - LoDo is Denver’s oldest neighborhood which is home to some of the best restaurants and attractions in Denver. On this 1 hour walking tour your savvy local guide will share fascinating history and point out local hot spots (where to eat and drink). We walk about 1.5 miles where we bring to life the past, present, and future of our beloved city. This tour is perfect for those who have limited time and a busy schedule. At the end of the tour enjoy a beer from Denver’s first microbrewery or a sweet treat from Denver’s award winning ice cream shop. Our tour kicks off at the Union Station flagpole. We begin the tour by discussing the iconic Union Station and its significance to the survival of Denver as a city. 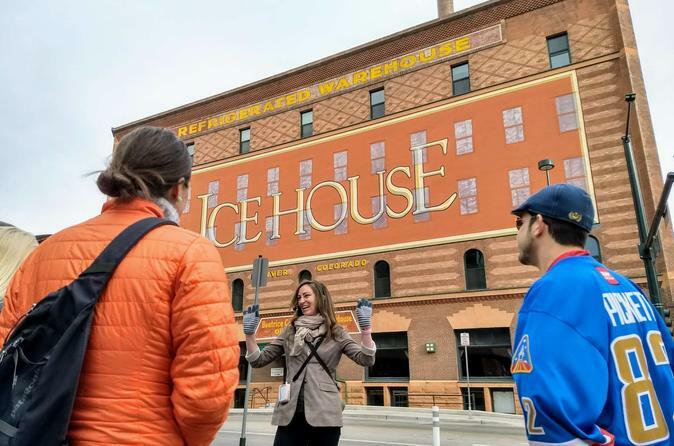 Over the next hour we walk a 1.5 mile loop around LoDo where we share stories of Hop Alley (Denver’s first Chinatown), visit Mattie Silks House of Mirrors (the most famous bordello of its time), visit the oldest operating hotel in Denver, and learn about the underground tunnel system that may or may not exist. (Optional and Free of Charge) - Dispensary/grow operation! Hey you're in Denver afterall! We end the tour back at Union Station where you have the option to enjoy a pint of beer from Denver’s first microbrewery or a sweet treat from Denver’s award winning ice cream shop. Your local guide is here to help you make the most out of your time in Denver so don’t hesitate to ask any questions.